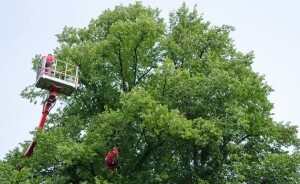 From small, tree pruning services to big, complex tree removals, Urban Tree Lopping does it all. For larger, more complex tree removals, don’t try and do the job on your own. With our expert removalists, we use quality equipment and machinery to safely do larger jobs that you couldn’t manage safely alone. Our crane services are ideal for moving larger trees safely and securely. With trees that are full of branches and greenery, it can be difficult to remove them without specialists. Tree removal is ideal for clearing a path to build more or create more space in a recreational area. 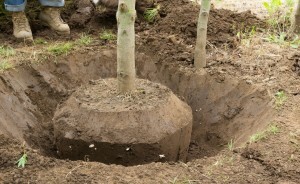 With large, older trees, a professional is essential. Contact our team at get that big tree out of the way. 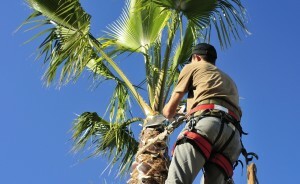 We specialise in crane removal and pruning of large palm trees, which can be a difficult (not to mention dangerous) task to complete on your own. Trust us to give you a quality, affordable service. Our experienced team have removed numerous different trees hassle free, from residential, commercial and industrial spaces. Remove large trees before they become a hazard. Even larger trees have the potential to fall over and damage surrounding assets, so take action before it’s too late. Contact the professionals today. 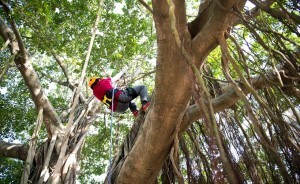 At Urban Tree Lopping, we offer assessment of your situation before taking any action. As an honest and professional team, we take pride in providing our clients with a quality service that doesn’t cost a fortune. Whether you’re after a simple stump grinding for your home, or need a tree completely removed, our team will be able to provide you with a solution and quote with ease. If you’re in need of crane tree removal for a large, stubborn tree, get in touch with us today. Call us on 0412 556 308, and we’ll help you make the right decision.